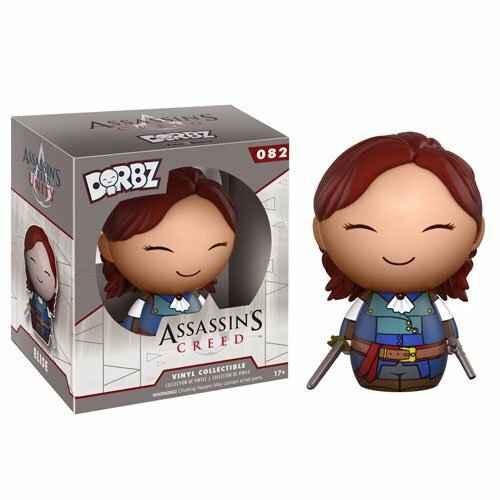 Your favorite characters from the hit video game series Assassin’s Creed are now cute little collectible vinyl figures! This Assassin’s Creed Elise Dorbz Vinyl Figure features the assassin holding her sword and pistol. This figure stands about 3-inches tall and comes packaged in a double-sided window display box. Ages 17 and up.